SALE Starting at $999 More Finishes. Same Price. SALE Starting at $199 More Finishes. Same Price. SALE Starting at $549 More Finishes. Same Price. SALE Starting at $649 More Finishes. Same Price. SALE Starting at $369 More Finishes. Same Price. SALE Starting at $329 More Finishes. Same Price. SALE Starting at $1,399 More Finishes. Same Price. SALE Starting at $1,499 More Finishes. Same Price. SALE Starting at $1,649 More Finishes. Same Price. SALE Starting at $899 More Finishes. Same Price. SALE $849 More Finishes. Same Price. SALE $599 More Finishes. Same Price. SALE $669 More Finishes. Same Price. SALE Starting at $449 More Finishes. Same Price. SALE Starting at $799 More Finishes. Same Price. SALE Starting at $299 More Finishes. Same Price. Your coffee table can blend with your decor or it can set the style. It can be an accessory or it can present a dynamic focal point. At Bassett, we design coffee tables that are not only practical but give you that wow factor. We create centerpieces, not afterthoughts. Through our custom design program, you can add your own personal touch. At Bassett, we’re dedicated to an old-fashioned work ethic. We design and build coffee tables with attention to detail and superior workmanship. 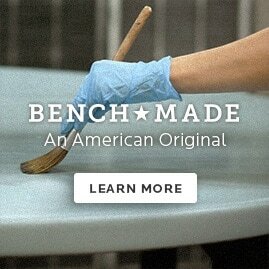 With our Bench*Made line, our artisan craftsmen create your coffee table to your specifications one piece at a time. Stop by a Bassett showroom near you and see our collection of stylish coffee tables. Get inspired by the new looks and innovative design. Then, when you’re ready, book an appointment with a Bassett design consultant. They’ll help you turn inspiration into reality with furniture that looks beautiful and will last a lifetime.